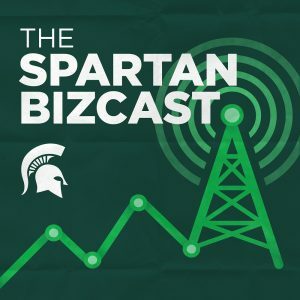 The second season of the Spartan BizCast podcast kicks off with a dive into why self-driving cars could be equivalent to releasing “robots in the wild” onto our streets and in our cities. The episode, co-hosted by Shana Redd and Don Conlon, features Brian Pentland, the Main Street Capital Partners Intellectual Capital Endowed Professor in the Department of Accounting and Information Systems. He is also the faculty director of the Center for Business and Social Analytics at MSU. In discussing the nexus of technology and society, Pentland provides insight into how autonomous vehicles will change not just how we get around, but how we live, and who benefits.